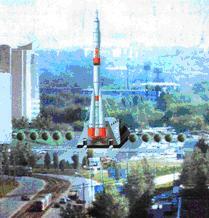 Samara State Aerospace University (SSAU) , founded in 1942. A major goal of the Workshop is to bring together aerospace researchers and engineers for the discussion of contemporary research and development, and general perspectives in aerospace guidance, navigation and flight control systems. Industrial companies are invited to participate in product exhibition, please contact the organizers.